Small Fortune Goes Mobile and We Celebrate it with 250% Bonus! 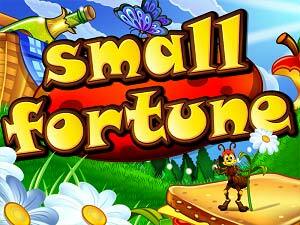 Our mobile games selection continues to grow with the addition of our fabulous Small Fortune slot! Play this fun 5 reel and 25 payline game wherever you are from your iOS, Android or Tablet device and collect 15 free spins for more mobile fun and winnings. Small Fortune is a popular 5 reels and 25 payline game that gives you plenty of chances of winning with free spins, scatters, bonus games, multipliers and more! Images such as cheese platters, lemonade, a cherry pie, picnic baskets, butterflies, and anything picnic-related is what you can expect to find on the reels of Small Fortune! The game just wouldn't be complete without the wild Ants symbol that is present throughout. The wild Ants are stacked symbols, which means they will grant you tons of winnings rapidly! And on top of it all, these wild Ants will trigger the fun bonus round for your bankroll to grow even more. 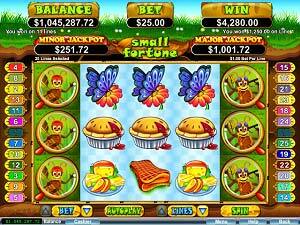 Play anytime and anywhere from your mobile and welcome Small Fortune with 250% Mobile Match Bonus!